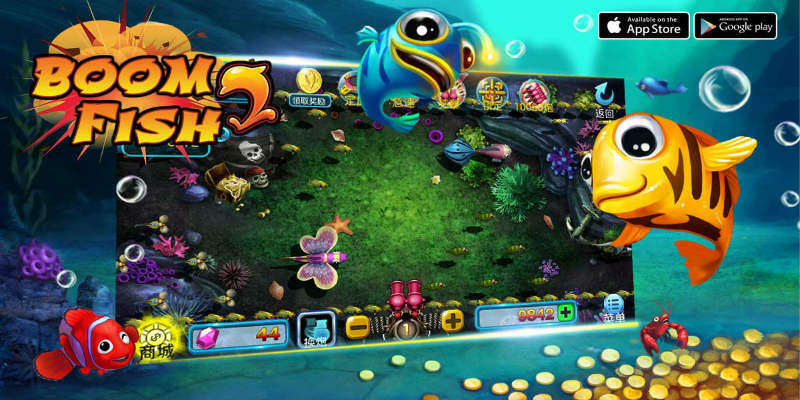 【Boom Fish 2 Win Talktime】 is a single and multi-player arcade fishing mobile game, over hundreds of different fishing themes and 300 fish species within the game for players to choose. Unique features such as Da San Xuan, Da Shi Xi, Lightning Chain, Pirate Ship, etc to increase the exitement and gaming experience. Most importantly, players could win a real talktime credits through the game. ★Small bomb: Destroy small bomb will capture fishes in small area around it . ★Catch all: Capture a random fish with sign will catch all other fishes with the sign. 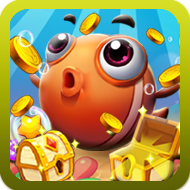 ★Energy bullet: Capture fishes with double gold coins before the time runs out. ★Da San Yuan: Capture random a fish within Da San Yuan will capture other 3 fishes in the same time. ★Same kind bomb: Capture a fish with sign will capture all same species of fishes on the screen. ★Big bomb: Destroy big bomb will capture all fishes on the screen. ★Mystery game: Capture mystery reward to enter a unique roulette game that could win alots of gold coins. ★Octopus ink spray: Hit it and it will spout ink to disturb your screen. ★Big or small: Capture BOSS to trigger the game to stand a chance for winning huge amount of gold coins.